At Infinite Ability, our mission is our clients' success. Read more about our work, and find out how we offer outstanding service to our clients. 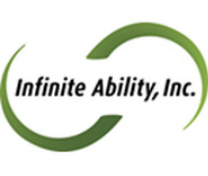 Started in 2003, Infinite Ability, Inc. is a family-owned and family-oriented business. With the help and support of their parents, three brothers and their wives began Infinite Ability. The entire family continues to be involved with the management and daily operations of the business. They take special pride in knowing their efforts have created a model for the specialized care of brain trauma survivors. Their hope is to set a high standard for their facilities and thereby offer the best services possible for TBI individuals. It is their continued effort that has made Infinite Ability an unparalleled resource for traumatic brain injury survivors and their families. You are invited to join our family and enjoy the support and dedication that Infinite Ability can offer. To promote and facilitate community and vocational services to individuals who have survived a traumatic brain injury. To emphasize an individual’s abilities rather than limitations. To encourage and work towards individual independence. You can learn about our services, our mission, and our caring staff right here – or call 1-608-834-3040. We’d love to chat about your loved one’s potential!